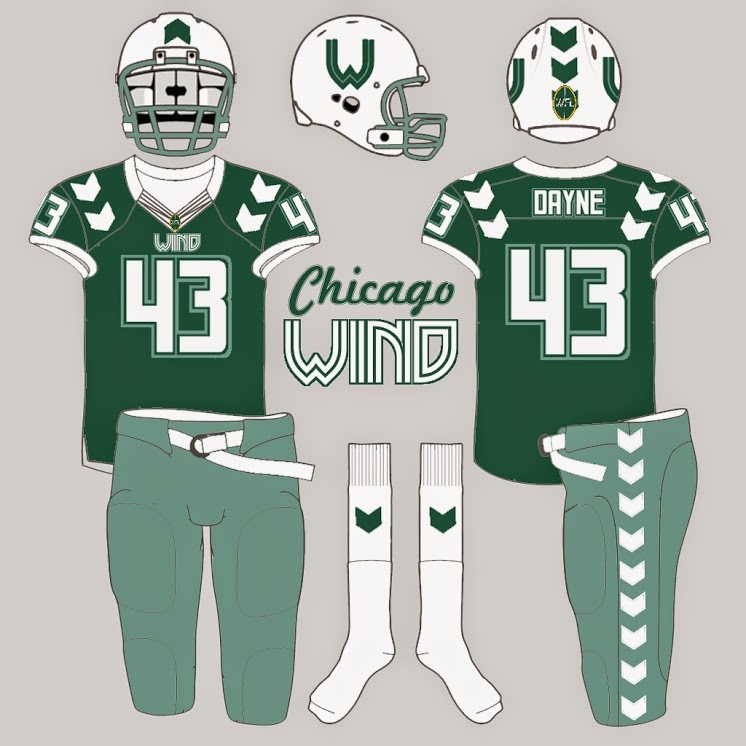 These are the designs submitted for the Chicago Winds franchise. 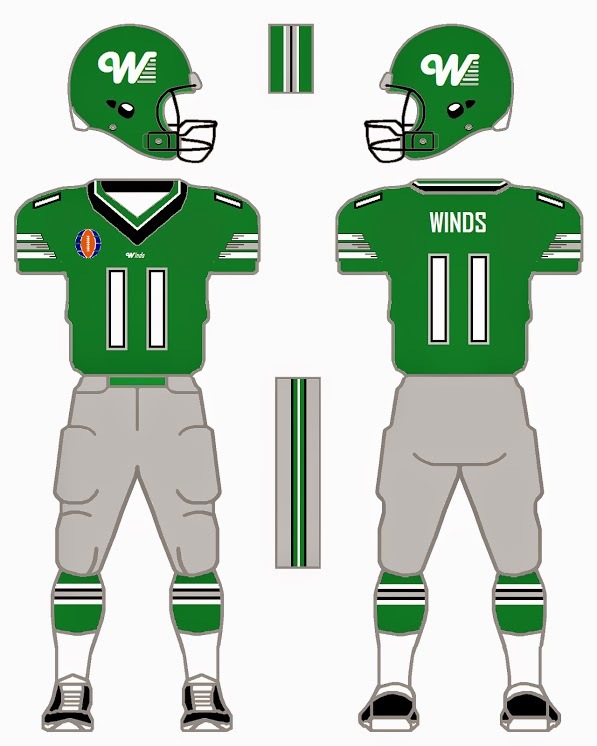 Chicago changed their green to Baffin Green and their pants to Baffin Gray. The Wind dropped the S in the 90s. 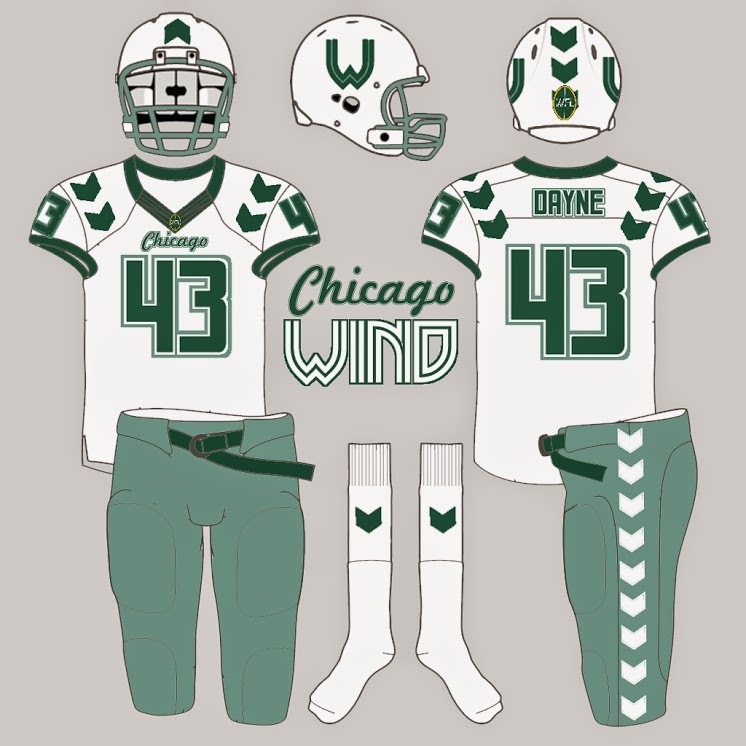 Chicago secured a uniform deal with Danish uniform manufacturer Hummel; hence the chevrons which adorn their uniforms. Included is the Peyton Hillis player card. Logo- Redesigned "W" logo with curve in the logo forming a "c" for Chicago. Alternating gray and white stripes to give the illusion of motion or blowing wind. Arm striping has a tattered wind damaged appearance. 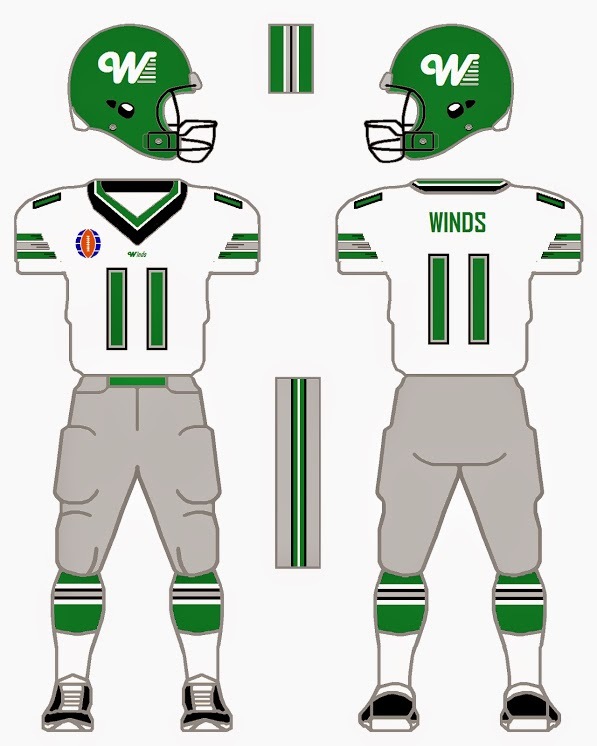 Colors- Added a darker green, kept the white, but added gray and black to add some contrast. Gray pants at home and road. 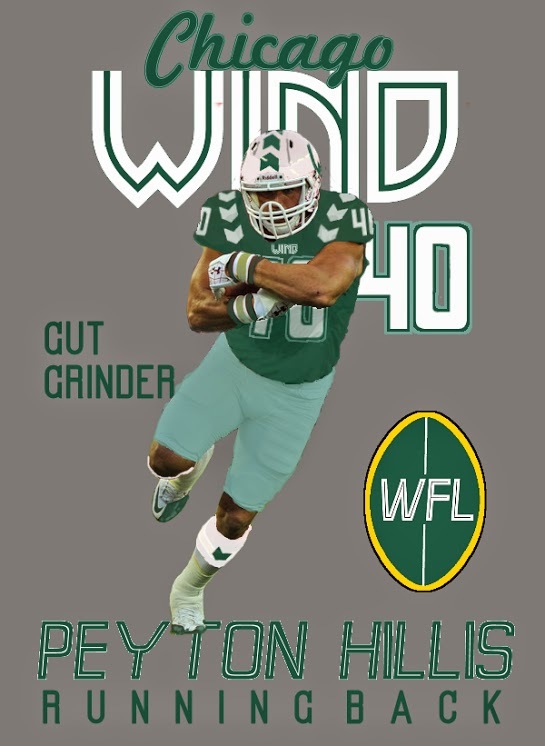 Dare I say that the number font is in a Chicago Bears style !